I’ve written quite a bit about the sonic benefits of various USB conditioners. The UpTone Audio USB REGEN was my first USB conditioner and I was blown away by its performance. It probably had the most natural timbre and tone out of the ones I’ve tested but came off a bit flat and fuzzy around the edges. Unfortunately, I didn’t get a chance to evaluate the USB REGEN with a better power supply which could’ve opened and tightened up the sound. In any case, I have no qualms in recommending the USB REGEN as I found it to be musical and affordable. So when the ISO REGEN was announced, I couldn’t wait to get my hands on one. Before diving into this review, I wanted to make a comment about measurements. We all have our biases in audio and different hearing sensitivities. I used to take the scientific approach and found solace in the quantitative. This, for the most part, became a waste of time. No matter what kind of engineering was involved or how the device measured, if it sounds like crap to my ears, what’s the point? I’m not saying measurements can’t provide insight into how a component may sound because they obviously grant us a useful reference point. I just believe there are some things about an individuals’ preference for musical enjoyment that can’t be determined from charts and graphs. In fact, I think it’s better to listen, figure out what kind of sound you like, then take measurements. With these measurements, you could then filter components more effectively. You’ll also get a more intuitive and tangible idea of what you’re looking for. Now back to the ISO REGEN. Given the $325 price point, I predicted the ISO REGEN will be a slightly better USB REGEN with improved layering and delineation. If that were the case, it would be my top recommendation for a USB conditioner. 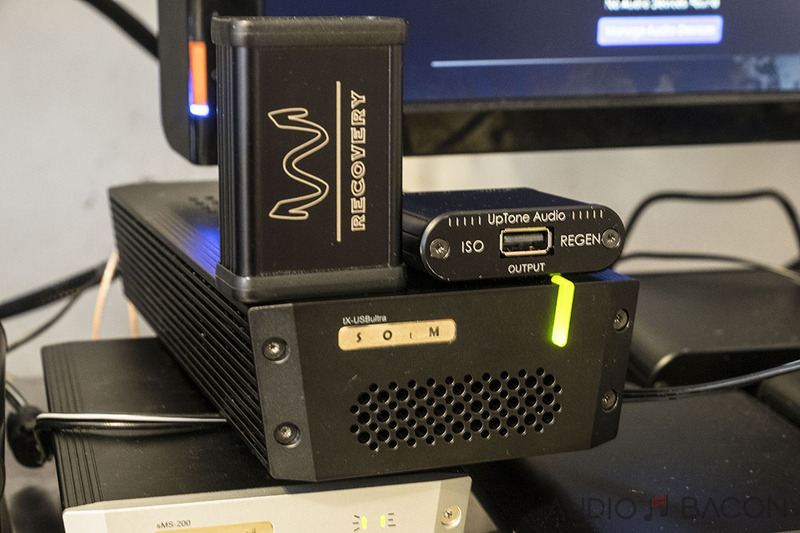 Given UpTone Audio’s reputation for providing high-end sound without a high price tag, I outright purchased the ISO REGEN along with four UltraCap LPS-1 linear power supplies. Frankly, the galvanic isolation is nice (especially when powered by an UltraCap LPS-1), but the rest of the tremendous enhancements we made to the rest of the REGEN (Crystek CCHD-575 clock, USB3.0 hub chip with the best signal integrity John has ever measured, and five of the world’s ultra-lowest noise packaged linear regulators–the LT3042) far exceed the SQ benefit brought by the isolator. The impressive design of the ISO REGEN was quite thorough. If you want more technical details please refer to UpTone’s ISO REGEN product page and their very well written white paper. I’ll be focusing on performance. I used both custom Omega Compact Alnicos speakers and Abyss / HE-1000 V2 headphones to validate the performance characteristics. DACs used were the Chord DAVE and Chord Hugo. Direct connection from a late 2013 Macbook Pro and SOtM sMS-200 with a Danacable USB cable. A SOtM stack (tx-USBultra + sMS-200 + clocked switch) with two Danacable USB cables (I’ve found these cables to sound the most natural. Ask for a length below 3 feet to avoid impedance issues with the tX and ISO REGEN). 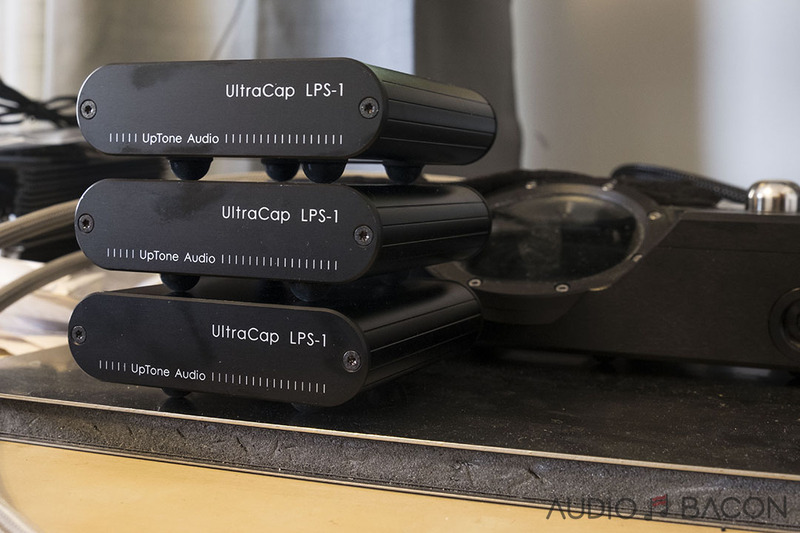 The UpTone UltraCap LPS-1 power supply is one of the gems in audiophile land and probably the best linear power supply under $1,000. I would swap out the DC cable that comes with the LPS-1 with a UPOCC copper or silver DC cable ($100) from Zenwave Audio. 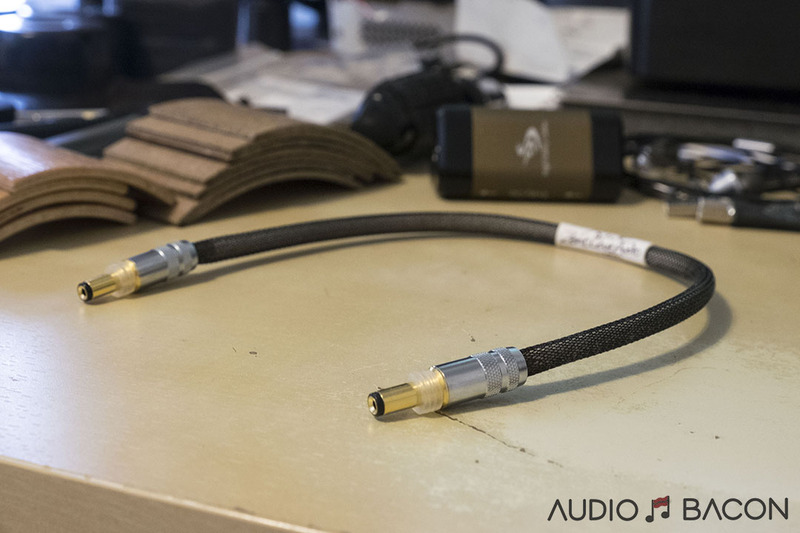 It’s the best copper DC cable I’ve heard so far (email: dave@zenwaveaudio.com). If you prefer a silkier sound, the Sonore DC-4 is also a great choice. 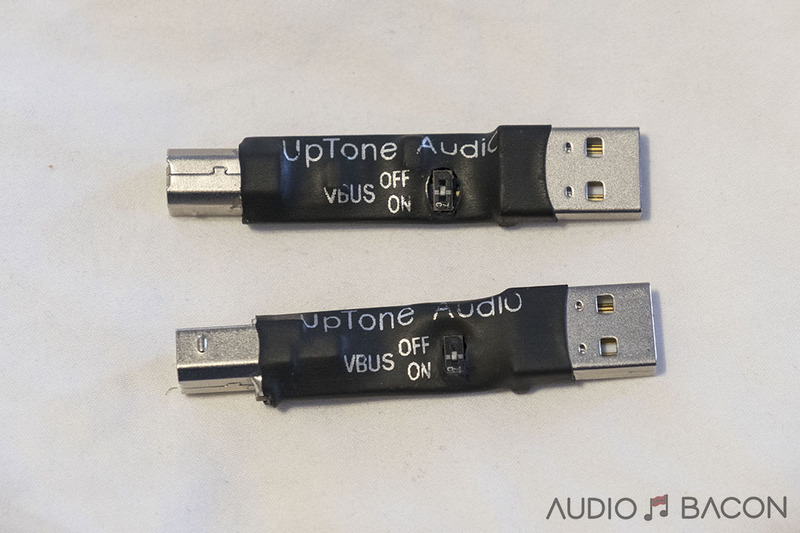 At the DAC, the UpTone Audio’s USPCB USB adapter was used. This is supposedly better than using any USB cable and comes free with the ISO REGEN purchase. Make sure you have the ISO REGEN switched to the “1” position and not the “On” position. This will activate the galvanic isolation. The “On” position is for debugging purposes only. 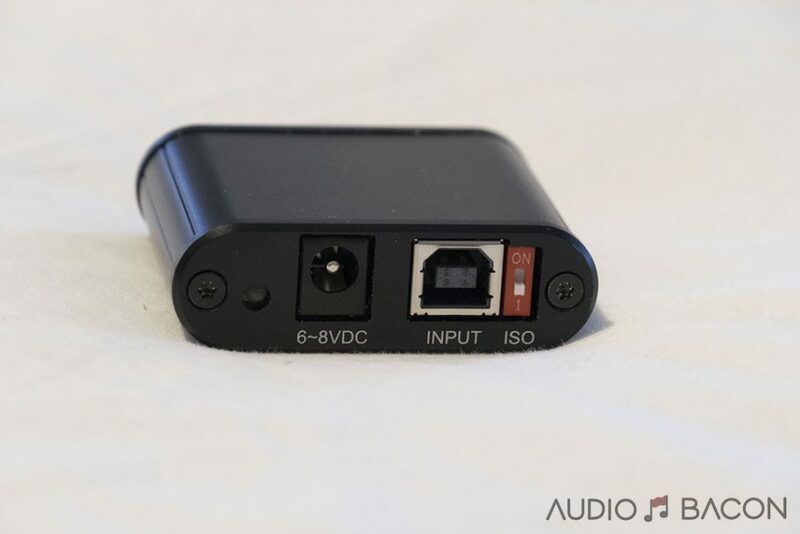 The provided USPCB USB adapter could be a bit slanted so it may be easier to insert the adapter into your DAC first before attaching the ISO REGEN. If you’re swapping out USB cables for testing, you may need to unplug and replug the power on the ISO REGEN to get it to be redetected. I used a few Gingko ARCHs to support the ISO REGEN at the Chord DAVE. It keeps it from bending at the port. If you need flexibility in your vibration isolation, these ARCHs come in so handy. I also have them placed under my source components. You’re able to adjust the sound by stacking more or less of them. Some may consider using a battery pack or switching power supply for the ISO REGEN. I advise against it for the best sound quality. FWIW, using a SOtM mBPS-d2s provided more warmth but the soundstage was flatter and everything was fuzzier around the edges. With the UltraCap LPS-1, everything opens up but becomes thinner. My preference was for the LPS-1. Don’t use a cheap Y-splitter power cable, especially the one from Amazon. It will degrade your sound quite harshly. You’ll notice it. If you’re attaching the ISO REGEN to the Chord DAVE be very careful not to put pressure on the USB port of the DAVE (especially if you’re using the RCA jacks to power speakers). You’ll have to elevate the DAVE and use some foam. I actually had to get my USB port repaired. 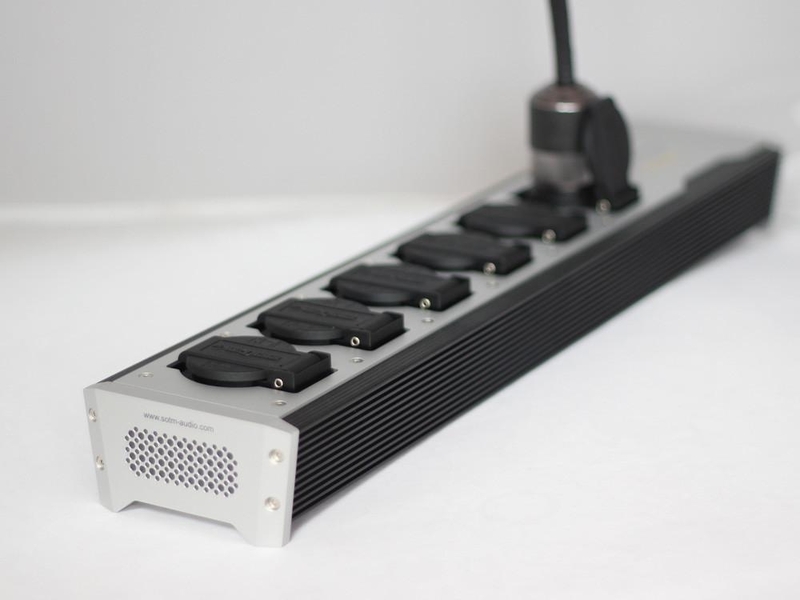 The performance of the ISO REGEN is also determined by the power supply and DC cable used. Your results may vary. All of my components (outside of my Roon server) is powered by an UltraCap LPS-1 and Zenwave Audio UPOCC copper cable. Direct from computer or streamer will be the most common configuration when using the Uptone Audio ISO REGEN. I’m just going to cut to the chase: The ISO REGEN will elevate your system to heights you never thought possible. I didn’t have to go through more than a single recording to realize this. Going straight to DAC without having the ISO REGEN in place resulted in a very thin and piecewise sound (on both the Macbook and sMS-200). It’s likened to a Pixar movie with only the geometric models and no shading or texturing. You’ll be missing all of the elements that make music fun, colorful, and emotive. The sonic variance is quite significant. Many were wondering how the ISO REGEN stacks up again the competition. These are my two reference USB conditioners. These impressions are in my “raw notes” format and were taken as I was listening. It’s a lot so feel free to skip to the summary at the end of this section. Didn’t take much A/B to find that the ISO Regen is superior in every way. The performance delta was enormous and convinced me I didn’t really need to compare the two any longer. Much much higher resolution. You’ll hear every nuance of the recording without it being sterile. has more clarity and slightly less veiled. has more dimension to the music, more nuanced, more real. The W4S Recovery sounds pretty bad. Super flat, no textures on vocals, guitars, or drums. As far as performance, the ISO REGEN is in a different universe. W4S lacks air and delineation completely. The best thing it has going for it is it’s natural tone and timbre. W4S is very dull sounding while the IR is accurate, natural, and rounded. The differences are so great, I don’t know if this is a fair comparison. The W4S sounds low-res, flat, and fuzzy vs the ISO REGEN. The ISO REGEN conveys a sense of space in a very natural way. W4S doesn’t sound like music. Just sounds muffled. Talk about kicking them while they’re already down. The ISO REGEN has so much texture, crunch, and air in comparison. This track could be a bit convoluted but the ISO REGEN is able to maintain grip and deliver all components effortlessly. The ISO REGEN is very musical and airy. Fantastic layering and sonic separation across the board. The W4S sounds bloated, lacks sparkle, and refinement. ISO REGEN has all the bells & whistles. The slam, snap, and rumble. ISO REGEN is so much more dimensional and palpable. It’s an accurate reproduction of intent. Trumpets sound a bit congested and lack micro-details. ISO REGEN just sounds unconstricted. The drum hits get lost with the other instruments on the W4S. ISO REGEN delineates all the players very well. W4S makes it sound like the performers were performing in a stuffy, hot, and sticky room. W4S is a smeared mess. ISO REGEN has just the right amount of depth and detail to be musically enjoyable. Cymbals sound a bit tinny with the W4S. W4S is void of any atmospherics. ISO REGEN is infinitely open, frees the entire spectrum. ISO REGEN very insightful sound. Much deeper and wider soundstage. The W4S has a smaller image and a tighter space. ISO REGEN has a billion times more resolution than the W4S. Once again, the W4S isn’t compelling in comparison. Oddly, I thought it was a really fun USB conditioner but in comparison to the ISO REGEN, it sounds dull and muted. resolves every tiny detail in the music. Those plucks on the electric guitar are better delineated. has tighter bass. There’s no bleeding. Even the female grunts towards the end of the track have more definition and shape. has much more resolution. You could literally visualize the the sticks smacking and gracing the drums. presents percussions with authoritative slam, punch, and definition. sounds real besides a bit lean. ISO REGEN has much more bass weight and definition. It has a more romantic sound and admittedly more fun. ISO REGEN has a cozier sound while the tX reveals the acoustic space much better. The ISO REGEN is more melodic, warmer. tX has more spatial cues. The tX is has much more resolution and better timing. The reverbs don’t go to the back of venue on the ISO REGEN. The ISO REGEN’s midrange sounds more well-placed while the tX sounds a bit recessed. I enjoy the tonal density of the ISO REGEN more than the tX. tX has more implication to the music. It’s cleaner and more coherent. tX flows more granularly at higher resolutions. This provides an eerie and realistic sound. The tX atmospherically takes you closer to the live performance but is lacking in midrange mass. The ISO REGEN gives the sound great fill and volume along with the proper textures. ISO REGEN has a ton of impact and dynamics. Lots of mass and musicality. Great tone. Although the W4S Recovery improves the sound significantly, the ISO REGEN takes it up to a whole new ballgame. The disparity was high and the Recovery was simply outclassed. The W4S Recovery just sounds congested, overly forward, and restrained. Given the fact I actually liked the Recovery and now found it to be borderline unacceptable…speaks on just how good the ISO REGEN is. 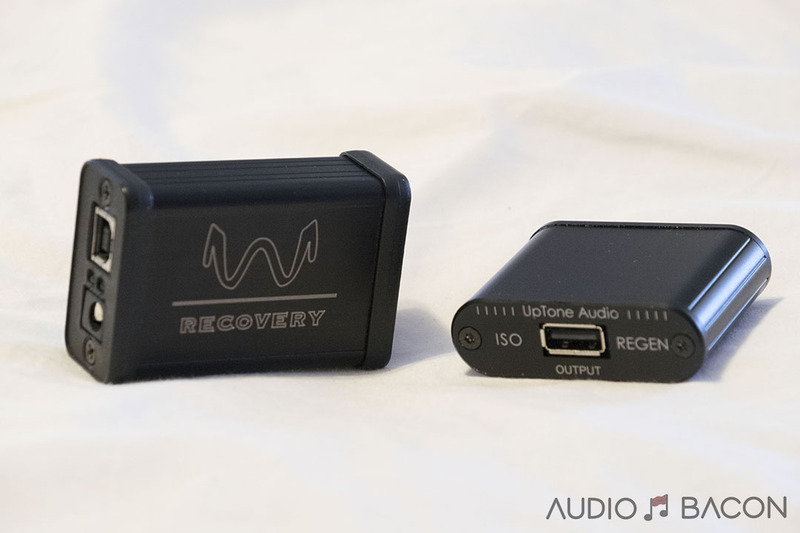 The W4S Recovery does perform decently with studio music but loses coherence and air with live recordings. Given the respective price points, the sonic variance wasn’t as large as I thought it would be. The tX will startle and surprise me but the ISO REGEN will provide a more relax and enjoyable listening session. The tX is more startling but I found the ISO REGEN to be more engaging. The thinner character of the tX is noticeable in this comparison. Piano notes have more weight and density on the ISO REGEN than the tX. The tX is more transparent, clean, and detailed. You hear every nuance and obtain greater immediacy but it’s not necessarily musical. It lacks a bit of low-end mass and a layer of warmth to be fun. The ISO REGEN has less air but is musical. The beauty of the tX-USBultra is its ability to provide realism via its super clock. The level of sonic granularity and spatial resolution (better decay and much longer reverb tails) is something to be heard. The ISO REGEN doesn’t provide the same level of realism or layering but offers more meat on the bones. Because of this, I actually had more fun listening to the ISO REGEN for the more bass-heavy tracks. Since the stack includes the SOtM tX-USBultra, the idea is to find out what improvements, if any, could be obtained by stacking the ISO REGEN before or after the tX. Something didn’t sound right with this configuration. At times I felt it caused a little bit of degradation in the sound. Other times it came off too thin and excited. This configuration provides a much more expansive sound, better resolution, much better layering, and is definitely quieter. There’s undeniably more air, realism (from a detail standpoint), and spaciousness. It’s fantastic for orchestral music. UPDATE (8/19/2017): After swapping out the power supply on my BRIX server with a SOtM sPS-500, the ISO REGEN sounded bettter before the tX. Now, this is the jackpot combination. The tX and ISO REGEN sound good on their own but this combination is an absolute godsend. The ISO REGEN not only provides the much-needed midrange density on the SOtM stack but also improved depth and tonal balance. The dynamic envelope of percussion, brass, woodwinds, and strings are unadulterated and pure. There’s a small loss of resolution and air but the rendered musicality is undeniable and addictive. The combination of the two is a force to be reckoned with. It doesn’t have the meatiness as with just the standalone ISO REGEN but gives the tX just the right amount of tonal density to satisfy most palates. A tiny bit of resolution and air is traded but it’s well worth the exchange. I could use a bit more warmth but I can’t complain. Without the ISO REGEN, the sound just isn’t as epic. The combination affords you some insane realism. Spatial cues, decay, and ambiance galore. It adds so much more depth and dimension to the music. The gestalt of the tX and ISO REGEN is an otherworldly combination. I wasn’t thinking about keeping the ISO REGEN as I presumed the tX-USBultra will be sufficient. Now the ISO REGEN has become an integral part of my system. Without the UpTone Audio ISO REGEN in place, recordings were flat, lean, sterile, and not very involving. The ISO REGEN applies a nice layer of rich texture, warmth, and roundness to the music. This is especially in the presence region where it matters the most. The bass region is not only prominent and weighty, it’s also very detailed. The ISO REGEN also has the capability of layering and separating all components of the music in a very coherent, smooth, and natural way. Voices and instruments are better localized and well-focused with the proper timbre. This level of authenticity and nuance conveys an incredible listening experience. Other USB conditioners seem to aim for a specific signature. The ISO REGEN, on the other hand, is effortless, honest, and accurate. I don’t sense any coloration, just musicality. It breathes life into the music without overdoing it. There’s really something compelling about the ISO REGEN, even over the venerable SOtM tX-USBultra. Although the tX-USBultra imparts a more realistic fabric of sound, the ISO REGEN was just really fun and less fatiguing to listen to. It also doesn’t require two USB cables. As mentioned, the combination of the two is so good it should be a sin. 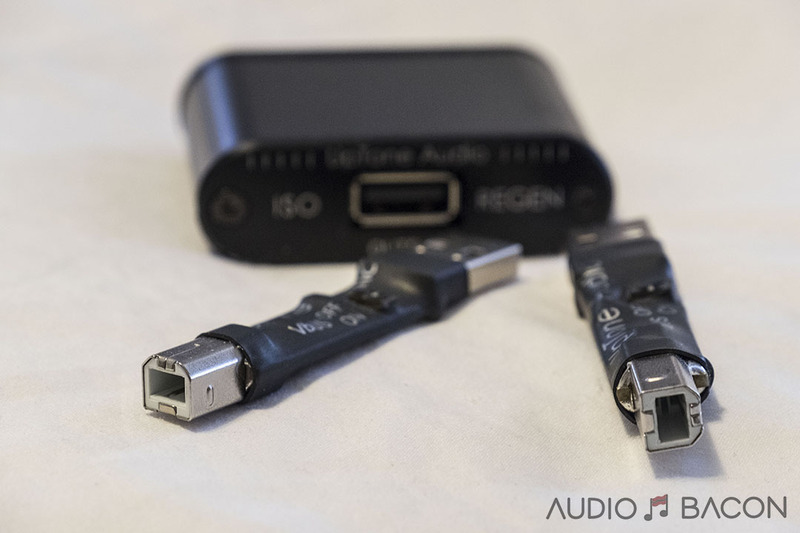 The ISO REGEN certainly blows the other USB conditioners I’ve tested out of the water and rendered them obsolete. A new bar has been set. So it turns out the ISO REGEN wasn’t a slightly better USB REGEN. It’s clearly in a different league. The galvanic isolation the ISO REGEN provides is the real deal. If it were me, I would get the ISO REGEN to start and combine the “SOtM Stack” when you’re ready for the next level. 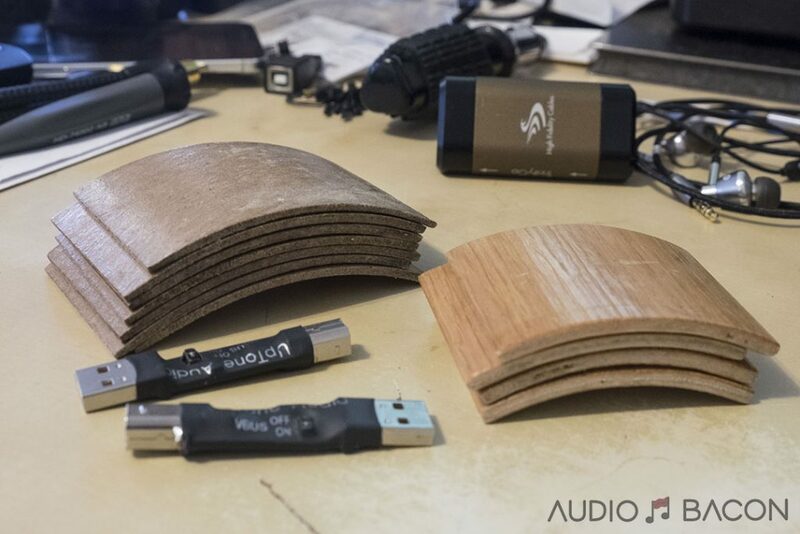 I really admire UpTone Audio’s John Swenson and Alex Crespi’s drive to continually innovate and improve on uncompromising and affordable products. 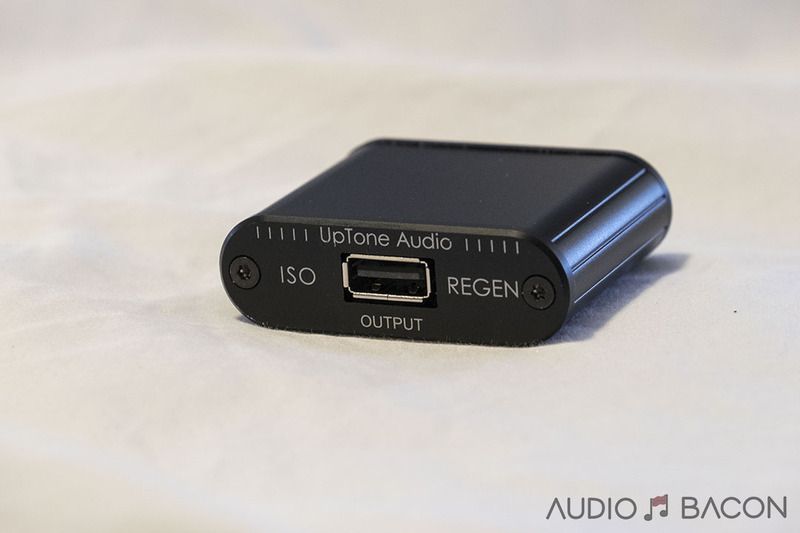 If you have a USB DAC, you owe it to yourself to give the UpTone Audio ISO REGEN ($325) a shot. I would opt for the discounted bundle with the UltraCap LPS-1 ($655) and tack on a Zenwave Audio copper DC cable. You have 30 days but you’ll only need a few minutes to realize just how much musicality you were missing from your favorite recordings. Thanks for this review. I find that the best sound in my system is Iso Regen before the tX-USBultra. I guess it is system dependent. I know that I want these two together in my USB chain. Yeah I’ve heard from some that it sounds better before the tX. I may have to revisit this at a later time but agree that it’s system dependent. Our findings match up very closely, although like Moussa, I prefer the ISO-R before the tX. The trifecta rules the audio world 😉 I definitely have to revisit having the IR before the tX. Will update with my findings. Quick followup, Jay. I notice you previously reviewed the PS Audio LANRover, and at the time considered it above the rest of the field. Well, now the landscape has shifted with the current crop, i.e. the ISO-Regen, and the SOtM Ulta stack. Where would you place the LANRover now, relative to these new leaders? Great question. I actually don’t have the LANRover on hand at the moment but from memory, it’s still smoother than the ISO REGEN, less warm, and possibly close to the same level of resolution. However, I do believe the ISO REGEN has better textures and tonal density. Jay, was this a custom order from Zenwave? I’m not seeing them on their website. 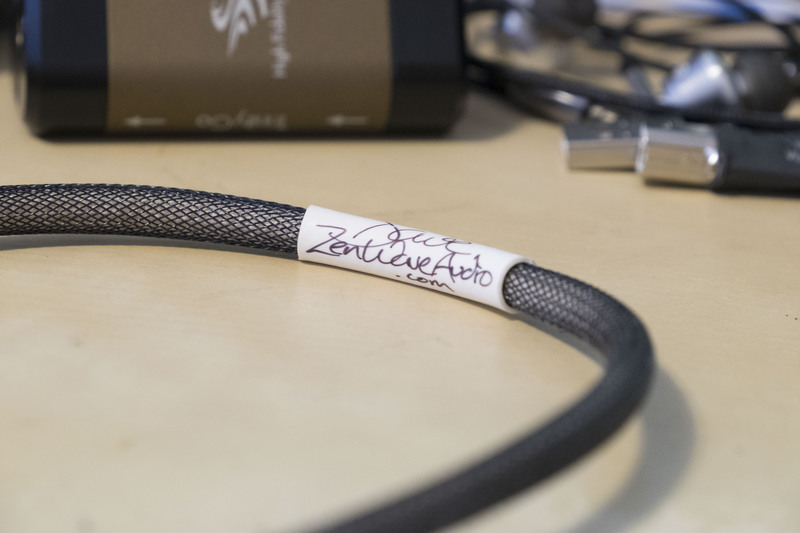 – UPOCC copper or silver DC cable ($100) from Zenwave Audio. By the way, I agree with your statement that one should form their own opinion first, then seek out the supporting science behind why. Nice write up. Thank you. I believe Dave from Zenwave is going to put it up soon. In the meantime, you could email him at dave@zenwaveaudio.com and he’ll set you up. I believe his silver cables are highly revered in the CA community but I prefer the warmer copper. BTW will you test it together with an ultrarendu in the future? Can’t speak on the DAC as I was still able to hear a significant difference when using the IR with the Chord Hugo and DAVE lol. Hm, the ultraRendu is quite pricey. If anyone’s willing to send it in, I’m game. Which Uptone DC cable are you referring to? I’ll have to try the Ghent stuff. Here is my observation from reading the review. Why would any audiophile own any piece of audio gear as their “reference piece” that quote ? “sounds pretty bad. Super flat, no textures on vocals, guitars, or drums”, “lacks air and delineation completely”, “very dull sounding”, “sounds low-res, flat, and fuzzy”, “doesn’t sound like music. Just sounds muffled”, “sounds bloated, lacks sparkle, and refinement”, etc., etc., etc. These comments beg the question of the reviewer’s choice in “reference hardware” or the validity of his review comments. I would never keep a piece of equipment that I believed resembled those comments, nor deem it my as “reference piece” if it truly performed in such a described manner. More likely, this review is a result of the “new flavor of the month” behavior or motivated advertising. Kudos to the editor if this honest candid observation actually gets published unscathed. This is very the nature of A/B comparisons. Admittedly, I was a bit dumbfounded myself. To my ears, the sonic variance was indeed this dramatic between the two products. Perhaps other readers who have actually heard both could chime in. Intrinsically, one’s reference piece is subject to change due to personal discovery and experience. I mean, I considered my Sound Blaster 16 as my reference piece at some point 😉 Could you blame me for not keeping it? As a reviewer, I get exposure to products far quicker than most so my standard for evaluation isn’t incontrovertible. Also, the audio landscape is constantly changing (sometimes too quick for comfort) and no one knows how far it can be taken. 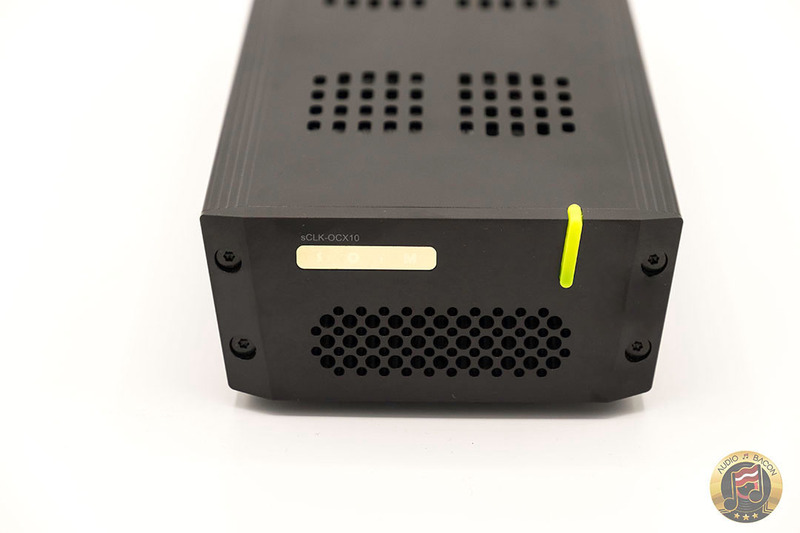 Even if you’ve heard the “best” DAC in the world today, your opinion may change at the next trade show. I believe healthy competition promotes innovation and hopefully better sound. Great review. I agree with your advice to buy the ISO REGEN first. Much cheaper. Jay, can you elaborate on the differences you heard between the stock LPS1 DC cable and the Zenwave? I think the stock DC cable just sounds bright and edgy. The Zenwave one is more grounded and warm. The Sonore DC-4 is smooth and musical (If you like Purist Audio Design or Cardas, you’ll like this one). A balance of DC-4s and Zennwaves might be nice. Both are much better than the stock DC cable. Great review on the ISO Regen. I will probably but one with the LPS supply. I agree that the Recovery reclocker sounds a bit congested when the music gets complex. It is very good on acoustic recordings. 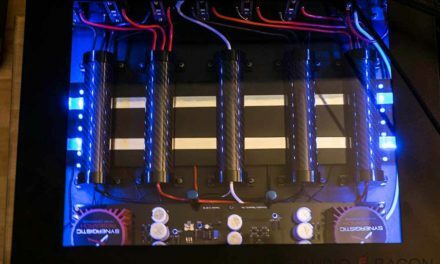 You mention in your review that the Uptone LPS-1 is he best power supply under $1000.00. Have you tried the Vinnie Rossi power supply? It also uses Ultracapacitors. It also uses custom made Belleson regulators. The price of admission of the Vinnie Rossi supply is much higher. I’m sure that the noise perfprmance of the regulators that John Swenson in the LPS-1 uses are excellent. The Belleson is excellent also. The thing that sets the Belleson regulator apart from Monolithic regulators is its dynamic performance. The step response is very fast, with no overshoot or ringing. There are many measurements on the website to back this up. The low output impedance and stable performamce of this supply should translate into more accurate data reconstruction or lower jitter. I modified an “El Cheapo” power supply I bought on Ebay eqipped with the LT1083 regulasor , and the sound of my Recovery reclocker using the Belleson improved in every way. The differnce was obvious. I didn’t have to strain to hear it. The downsiide of the Belleson reulator is size and cost. Hope you can get a Vinnie Rossi Supply for comparison. I suspect it will be superb. I said “probably” for this exact reason 🙂 Looks like a beast of a power supply. Thanks for the heads up, I’ll try to get one in for comparisons. Other supplies I’ve tested under $1k were veiled in comparison to the LPS-1. If there’s someone in the community who wants to send in theirs, please let me know. Will be getting a Vinnie Rossi power supply soon. Should be interesting. Did you not use the iSo – CAT6 SE or the SOtM dCBL-CAT7 LAN cabling in your system for the ISO Regen Review? If you didn’t, why not? And if you did, can you comment on your findings should you have played with swapping them in and out? I did have the cables in for the review. I personally preferred having Roon server -> black cable -> iSO-CAT6 -> dCBL-CAT7 -> modified switch -> dCBL-CAT7 -> sMS-200. Stacking two black cables caused the sound to flatten too much. The 2 x dCBL-CAT7 is probably the reason why I like having the ISO REGEN after the tX to provide more density in the mids. Those with direct USB connections to their server will probably prefer having the ISO REGEN before the tX. As for having the modem -> black cable -> iSO-CAT6 -> dCBL-CAT7 -> router, this further solidified the sound of streamed music. A/Bing Tidal tracks with local files…still flatter and less spacious but much better timbre. Next step is to modify the router but that’s way down the line for me. I’m curious if you tried stacking the IR and the RUR and if so what the effect was? (where, if you like, the links ( -> ) are all USPCB adapters). I’ve seen you put similar products back-to-back before just for grins (like the LANRover and the microRendu, if memory serves) and you were quite positive about it (in certain cases)… Just wondering why that didn’t happen for this review. I have been using The W4S Recovery for some time. I found it overall a step up from the original Regen, but was hoping something better would come along. It has, and an Iso Regen and LPS 1 are on the way. I read Alex Crespi’s well-written and informative white paper. To briefly sum it up, the higher the signal integrity of the data delivered to the DAC (the function of the USB conditioner) , the lower the noise generated by the DAC. This principle also applies to the the data delivered to the USB conditioner. My original Regen could accomplish that. I dusted off my original Regen, and connected it using generic A to B connector before the W4S Recovery. Even using the SMPS supplied with the Regen, there was a significant improvement in the sound. It was more organic sounding. Piano, percussion and drums were much more real sounding. Music was less sterile, less smeared and not as flat. A significant dose of life was given to the music. If anyone is an owner of originall Regen, it may improve the sound of your present conditioner. Its definitely worth trying. If someone’s willing to send in their mR, I’ll be receiving an uR in a week or so. I’d be happy to test it out. Can you test ISO Regen after the ultrarendu? I have ISO Regen and am considering the ultrarendu and am curious about combining. I own an Ultrarendu, LPS-1, and the special UpTone DC power cable. It is a great combination and bettered my microRendu with the same components by quite a bit. No contest really. A friend owns the ISO Regen plus the LPS1 and the UpTone Custom D.C. Cable. He brought his over for a comparison. First I’d say we both are very impressed with the ISO Regen and the Ultrarendu. Both bring the performance of my Lampi GG to a new level. Of course we had to try the combo of 2 LPS-1s, 2 UpTone Custom DC cables, and of course the ultrarendu and ISO Regen together. I was hoping not to hear much difference. But the sound of both together was quite startling. We used some Eva Cassidy tracks for comparison. From the first needle drop, Ms. Cassidy’s voice appeared with a sea of blackness surrounding it. We heard tones and undertones in her voice and the guitar that we’ve never heard before. Eva’s voice presented by this chain rivaled any analog presentation I’ve ever heard. Simply beautiful. We explored my music collection and noticed the same remarkable transformation with every selection. As a result I ordered the ISO Regen trinity from UpTone Audio, ( ISO Regen, LPS-1, Custom DC Cable) for further evaluation in my system. I’ll include the microRendu 2.5, a Paul Pang USB, and LAN Rover just for fun. My recommendations so far, the Ultrarendu and ISO Regen are both excellent instruments to obtain the best from your DAC by themselves. If you have either and want to go up a step, I think you’ll have an even larger smile on your face. I can’t wait for my Ultra rendu to come in. Theoretically since i don’t have 2 LPS1’s the best should be to run the ultrarendu off of the iFiPower and then use the LPS1 to run the IR. Reason being is the galvanic isolation of the IR and galvanic isolation of the LPS1. Does this make sense? Saw some Zenwave cable in the picture- what cable is that? I believe it is for the output of isoGEN. Can you send me the link to purchase- any improvement compare to the OEM cable. hello, thanks for the review, what about the ideon 3R USB Renaissance comparing to the uptone iso?
? A comparison with Intona would be of interest but I don’t have one to send to u. Did u happen to have used LPS for the W4S ? A comparison with Intona would be interesting too. Yes I used an LPS for the w4s. I’ll see if I could get a demo. 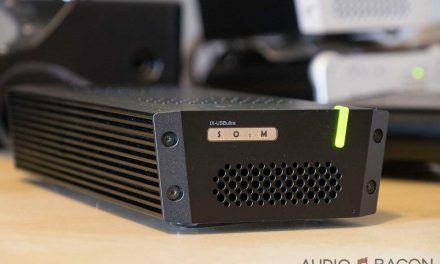 The Schiit Eitr renders all the USB solutions discussed obsolete as long as your DAC has an S/PDIF input. 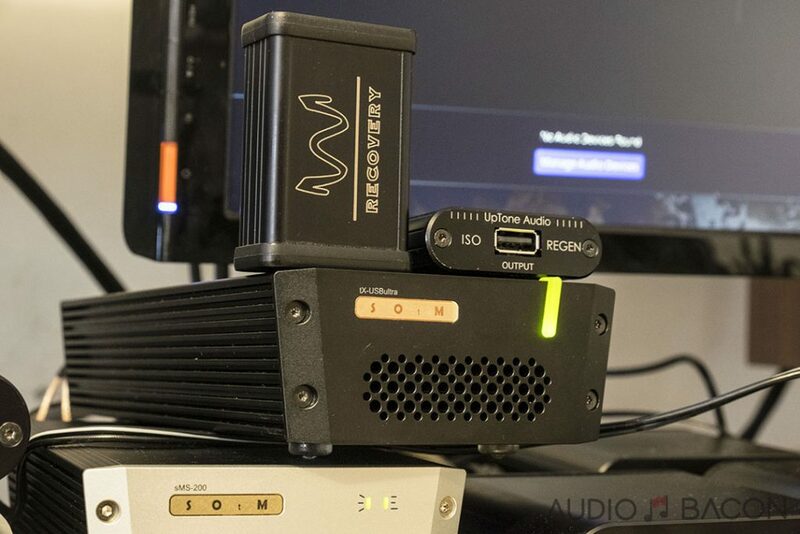 Would you make a comparison to IFI audio nano-iUSB3.0? bleedy blop blap blao… well I have the same setup somewhat except I go through the Chord Mk2 blu … and I don’t find any of the shortcoming mentioned at all in this review… however I’m using silver cables..
so it goes like this 2015 mac laptop(this will be changed in the future to an innuos Mk3) silver passive USB to the ultra. Silver usb cable from the ultra to the mk2 blu. The silver usb cables I’m using are from SOTM. Pricey but well worth it. 2 Valhalla 2 BNC interconnects from the Mk2 blu to the Chord DAve dac. Also using the power supply from SOTM the 500 (whatever its called) the did some comparisons between that supply the the one mentioned here the LPS I believe and we liked the sound signature better with the SOTM power supply. Its more expensive… blah blah..
One thing is for sure this review is right better have cash on hand… oh.. power supply… overall.. Using the PS audio P5 with Less loss power chords to the mk2 blu and dave dac. Some swedish supply going from the p5 to the sotm power supply; I think its called extera something like that comes in a wooden box…. The sound signatures are definitely different. It sounds warmer going directly from the laptop to the ultra ; then when I use the IFI setup, but sometimes I like the ife setup for certain songs expecially dance or techo pop… etc..